It's citrus season and I got my hands on some ultra fragrant kaffir limes! 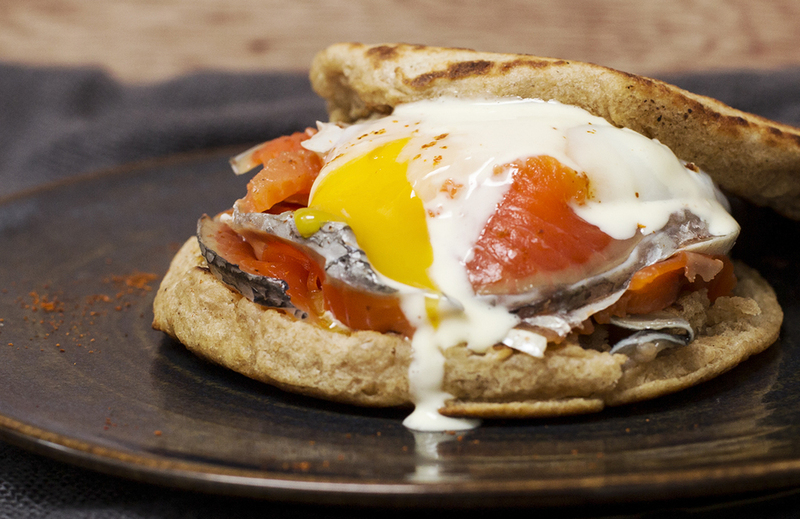 I love the idea of Rosenberg's Bagels' THC-infused salmon and decided to make a kief gravlax for my sous vide eggs benedict. It was super easy and only took two days to cure! Recipe below. 1. Take your salmon filet and cut it in half. Rinse it gently in cold water and pat dry with a paper towel. 2. In a small bowl, take your warmed, decarbed kief and mix it with salt, sugar, and citrus zest. 3. 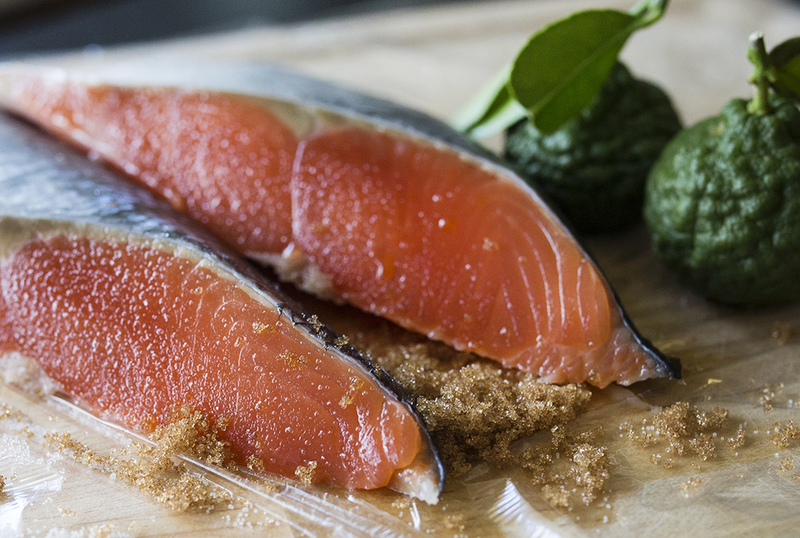 Place a layer of plastic wrap on top of a plate and place your salmon filets on. 4. Spread the kief mixture over the thick parts of the filet and give it a good rub. 5. Make a big salmon sandwich by putting one filet on top of the other--flesh to flesh. 6. Wrap the filets as tightly as you can with the layer of plastic wrap that you had put under them. Wrap the bundle again with another piece of plastic wrap. 7. Set the wrapped filets on a tray or plate lined with paper towels and refrigerate. You can place another plate on top for extra weight. The salmon will leak a lot in the course of two days. Flip the salmon bundle every morning. 8. 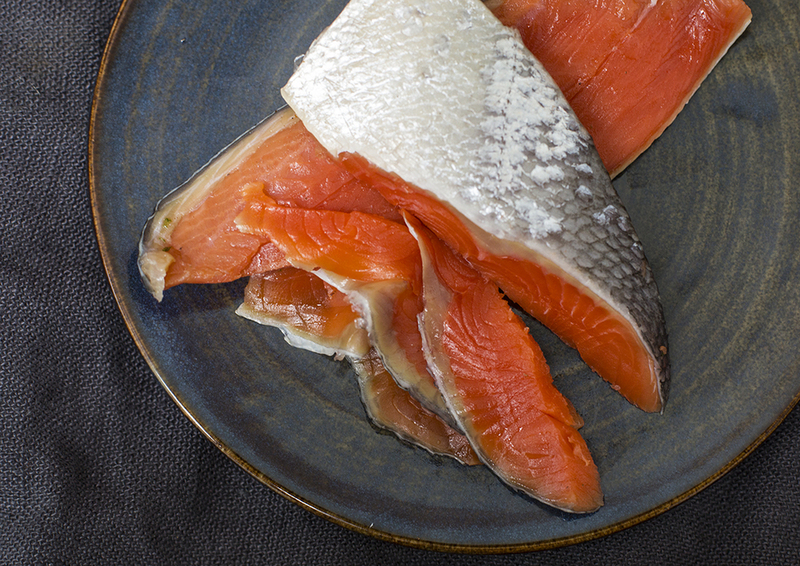 After two days, give the salmon filets a good rinse in cold water, slice it up, and serve for breakfast!